With a little planning, you can avoid the most common building mistakes and turn your dream home into reality. 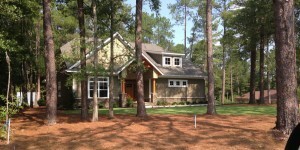 Integrity Builder of the Sandhills has been an established Pinehurst NC Home Builder and Southern Pines NC Construction company for many decades. Before you get started, consider your lifestyle and habits. Will you need space for children or a larger living area for retirement? Are you planning to buy an extra car or gym equipment? Would you prefer a bigger kitchen to a second bathroom? Spend time thinking about how you’ll use your new home and get professional plans drawn up and agreed on before any work begins. Make sure you hire licenced builders and contractors that have proven expertise in building homes similar to the one you want. You may like to ask people you trust for recommendations or interview and get quotes from a variety of general contractors. If possible, look at previous homes they’ve built and talk to the home owners to get an idea about their experience. Look for a builder that abides by codes of conduct and practice and search industry bodies such as the National Association of Home Builders or the U.S. Green Building Council. Try not to use inferior materials, particularly on fundamentals such as building materials, foundations, floors and walls, wiring and plumbing. It’s easy to change the paint colour on the walls, but making major changes after the building plans are finalised and contracts are signed can increase your costs and cause unnecessary stress. Avoid paying for everything up front and plan your budget realistically. You should factor in extra funds for unexpected costs and keep in regular contact with your contractor to make sure that building costs are staying on track. You may like to talk to a lending specialist to help you prepare your finances and discuss our home loan options, including our Construction loan. With a Construction loan money is released from your loan in stages, aligned to the different stages in the building of your home. This saves you money, as you only pay interest on the progress payments made until the loan is fully drawn. The size, shape and slope of your land is an important factor in deciding what home can be built on it. You don’t want your garage on a strange slope or a living area that doesn’t get much light. Location is everything, so work out where you should build first, before deciding on the design of your home. Want to know more about this Topic contact us today!